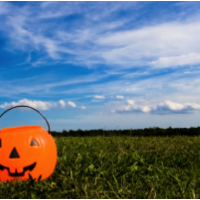 If your children’s school is hosting a Halloween party, offer to bring something healthy like trail mix, popcorn, fruit salad or pumpkin muffins. There will still be plenty of sweets! Or consider bringing some spooky little toys or Halloween themed pencils. Most importantly, remember don’t use candy as a reward for good behavior. « Should Kids Have Sports Drinks During Physical Activity?